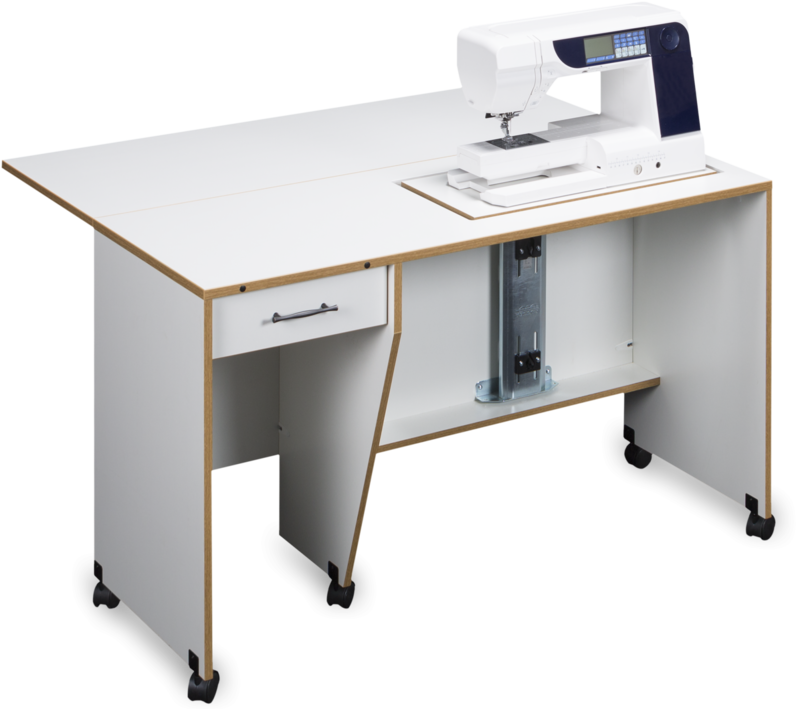 QuiltMate 2 1200 Quilting Cabinet. Large Machine Opening: 26" X 12 1/2". Open Dimensions: 49 5/8"W x 39 3/4"D x 29 3/4"H.
Closed Dimensions: 49 5/8 "W x 20 3/4"D x 29 3/4"H.
Shown paired with Sylvia 260 Sewing Cabinet. Machine not included.